Working at home is more common today than ever before and while it may seem like the ultimate arrangement, it does come with its own set of challenges. Many things can interfere with your ability to get the work done when your home doubles as an office. From the baby crying or kids fighting to the neighbor’s dog barking for three hours straight, things happen that you cannot control. You’ll get used to some of the distractions and learn how to not let them interfere with your work but others can be more difficult to ignore unless you have a private area of the home to work. One option to create the space you need includes turning the guest room into your home office. It will allow you to have all the benefits of working at home, while providing you with the privacy you need to work efficiently without all the distractions. There are many great home office designs available to help you create a pleasant and efficient workspace. The main furnishings will consist of the custom desk and chair suited for your stature and personal taste, a storage area and shelving. The way you design your new office will depend on the work you do but here are a few good ideas. Install a wall unit design to create shelve space or use corner cabinets to help keep your office organized and functional. You can also make some structural changes so your office space will suit your personality better. For example, you could add a fireplace or wet bar. Another modern design idea includes installing a skylight. During the day, it will provide your home office with natural light that will create a comfortable and motivational environment. At night, you can watch the stars twinkling in the sky and let your creative juices flow. Your overall mood affects your ability to work and lighting plays a major role in your mood. For this reason, having adjustable lighting is a good idea. On cloudy days, you’ll need to brighten up your office to eliminate that dreary feeling. 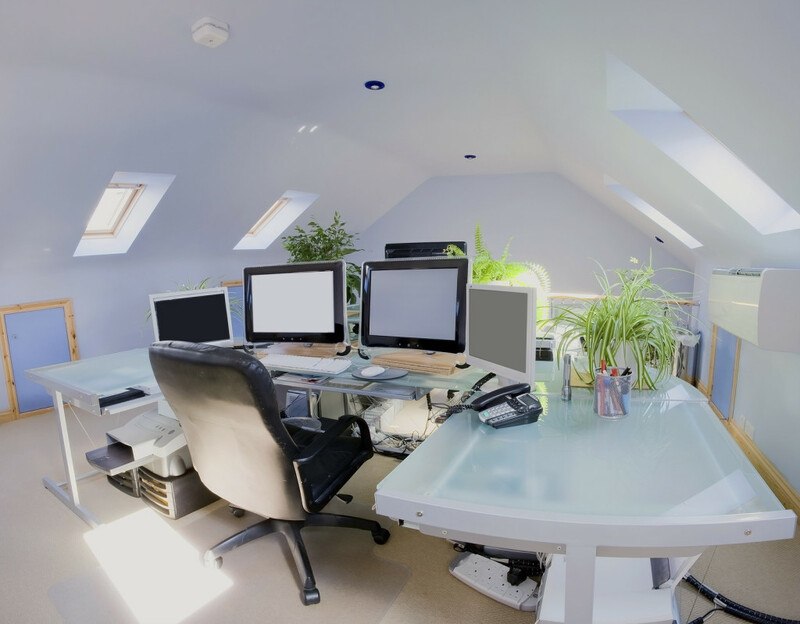 At night, you may need to dim the lights to create a more comfortable work environment. Adjustable lighting makes it easy to create the perfect work setting any time of day to help improve concentration. 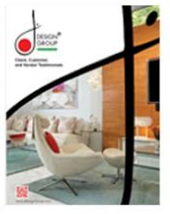 Your Florida interior designer will help you choose the best furnishings based on your individual needs. She will know how to angle the desk to avoid the glare from the sun shining through the window and where to place the furnishings for maximum efficiency. She can also help you choose the best type of flooring and create a plan that ensures all electrical wiring and other cords are out of site for safety reasons. Your interior designer can help you choose your furnishings and create an environment that encourages creativity and motivates you to stay on schedule. You can work from home with fewer distractions and have the privacy you need to do your job efficiently, when you turn your guest room into your home office.